Perhaps the greatest compliment came from my friend Barbara in Emilia-Romagna, the region that inspired the menu at Chef Steve Samson’s new downtown LA restaurant, Rossoblu where I am writing the wine list. I’m biased, of course: not only has Chef Steve been my friend for nearly 30 years (we met on our junior year abroad in Italy), but he’s also the chef/owner of the popular LA restaurant and pizzeria Sotto, where I’ve also been writing the wine list for the last six years. 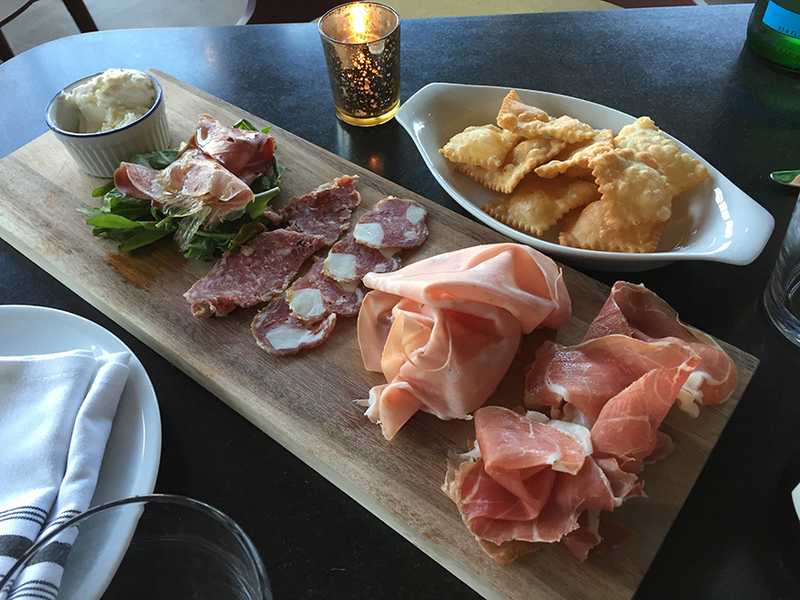 I couldn’t have been more geeked to try the new restaurant and menu, which is based on recipes from his mother, who’s from Bologna, and the summers he spent their as a kid. And that’s the big secret about Emilian cookery. There are many great restaurants in Emilia and most of the best ones are in the countryside. But nothing comes close to the home cooking. That’s where the real deal culinary magic happens. I’ll never forget an evening from a couple of years ago when Steve previewed some dishes from the future Rossoblu menu at Sotto. His mother was in attendance, of course. She said she liked the tortellini but “mine are better,” she said (cue Jewish mother/Italian mother jokes here). 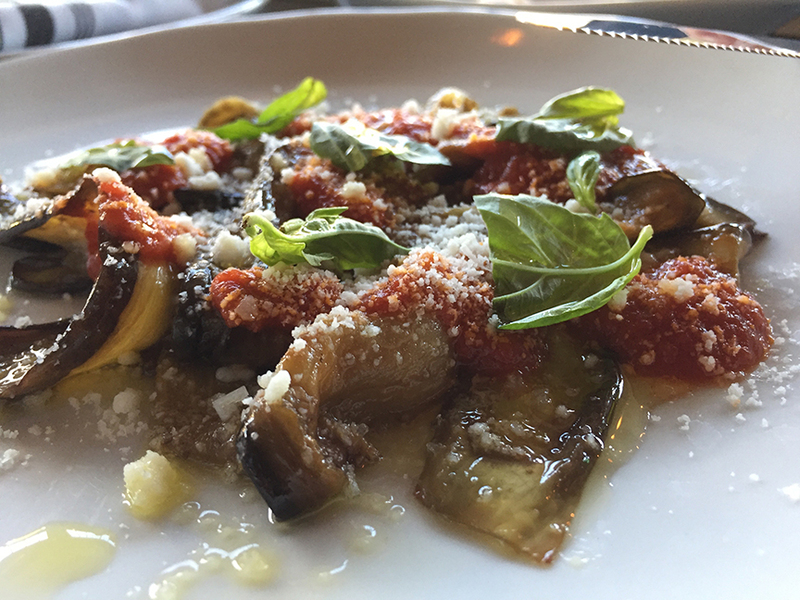 Steve’s tortellini were incredible last week. I’ve never had tortellini that good outside of Emilia. It was a sort of litmus test for him and he passed with rosso and blu flying colors, the red and blue of his beloved Bologna soccer club. Complimenti, Steve! 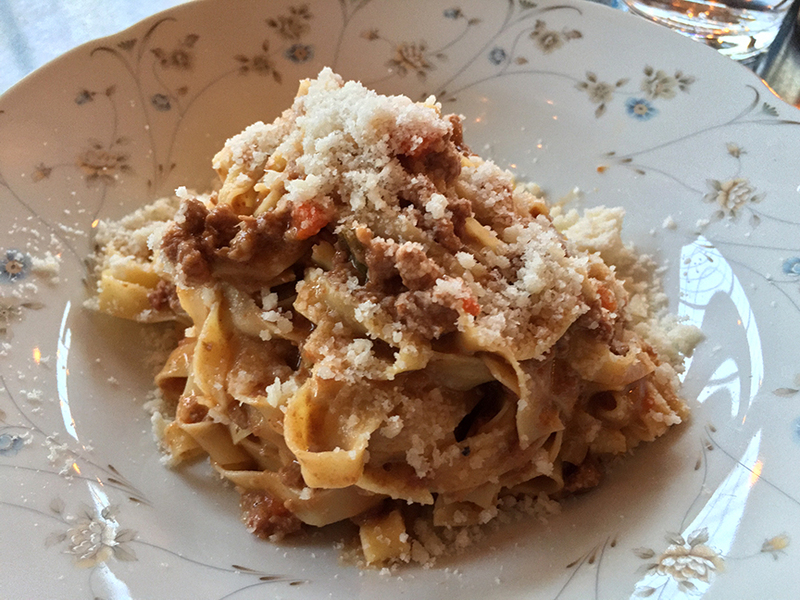 But as much as I was impressed with the tortellini, it was the tagliatelle al ragù that really wowed me. The dish is the non plus ultra of great Emilian food and I have never — never ever — had tagliatelle this good outside of homes where I’ve eaten in Parma, Reggio Emilia, Modena, and Bologna. What a great night and great meal at the new Rossoblu, which is still in the “friends and family” phase of opening. The official launch will happen next week. The website is still a holding page but check out the Instagram and Facebook for updates and images. That food looks so good I could cry! 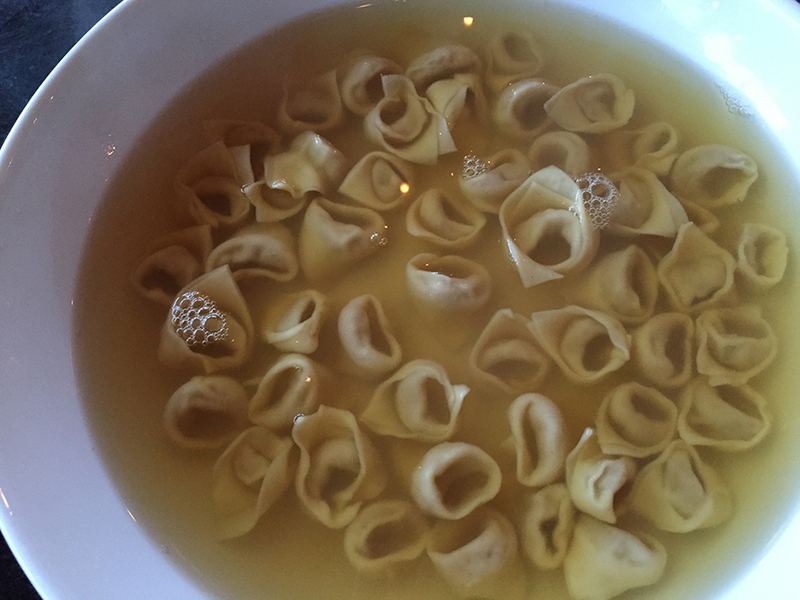 Can’t hardly wait to try everything, but especially the tortellini in brodo.